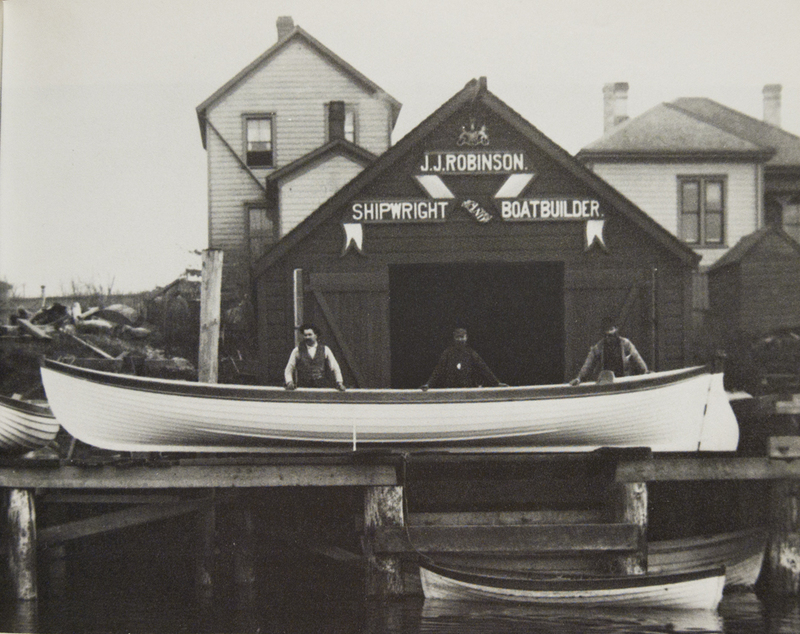 This is a film about a special little boat, a lovely, lucky sailboat who has graced BC’s waters for over a century. She is not only the oldest sailboat, but is the most beautiful boat on this coast at least. Take care of her, please, wrote one of Dorothy’s early owners, Mr. G. Burnett, to later owner David Baker. BETWEEN WOOD AND WATER takes an intimate look at Dorothy, the oldest still-sailing vessel in Canada, who has fired the hearts and imaginations of British Columbians for 115 years. From the moment she slipped into the waters of Victoria’s inner harbour in 1897, the 30-ft wooden sloop designed along sleek European lines excited attention wherever she went. Detailed logbooks and correspondence dating back to the turn of the century indicate that hundreds of stories – both personal narratives and those related to BC’s maritime history – hide between her ancient, old-growth cedar planks. Now badly in need of an overhaul to make her seaworthy once again, the Maritime Museum of BC is in a race against time to restore Dorothy for the 2013 Victoria Classic boat festival. If not restored, Dorothy may as well be sunk, or mounted in the Museum as a dead relic, a severe blow to her fans and supporters who believe she is one of the finest sailboats ever to sail the northwest’s waters. This one-hour doc hinges on Dorothy’s restoration by Tony Grove, a local boatbuilder and artist whose beautifully striking and accurately rendered paintings of boats have been featured in galleries across B.C. 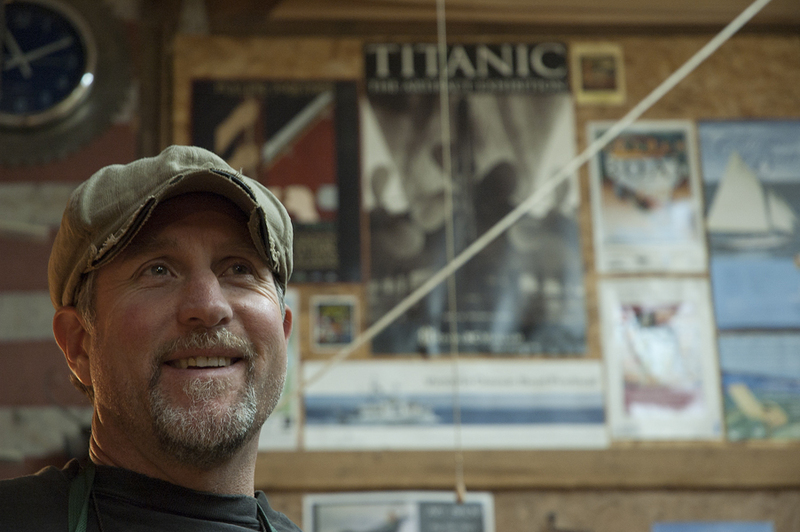 Tony’s experience and intimate knowledge of wooden boats led the Maritime Museum to commission him to restore Dorothy. As he opened up her planks to uncover her secrets this winter, Tony also created a new painting of Dorothy, and the dual processes of painting her on canvas and her physical deconstruction and reconstruction will serve as visual devices on which to hang the historical accounts and personal narratives evoked by Dorothy. Animation will bring to life her unique design (by English Naval architect Linton Hope) which to this day continues to fascinate both boat-lovers and non-sailors alike. Additional characters include two previous owners, David Baker and Angus Matthews, both dynamic, sea-captain type men, who will take us into the fascinating world of traditional boat lovers, a remarkably unreserved, not-typically-Canadian group whose passion for the craftsmanship of wooden boatbuilding is infectious. And the loyal, determined men of the Maritime Museum of BC – both volunteers and board members – who today still rally around Dorothy and refuse to let her story die. Dorothy’s restoration culminates with her launch next fall for the 2017 Classic Boat Race – a fitting and dramatic finale for the film, as the 120-year old boat contends for her title as the oldest and fastest little wooden ship in the west!